Guest Coaches from the Ravens are a hit! Josh Sacobie, Carleton University Receivers Coach and Manager Events & Community Relations, arranged for Carleton University players to guest coach Week 3 of our Warriors’ Winter Workouts and our players loved it. 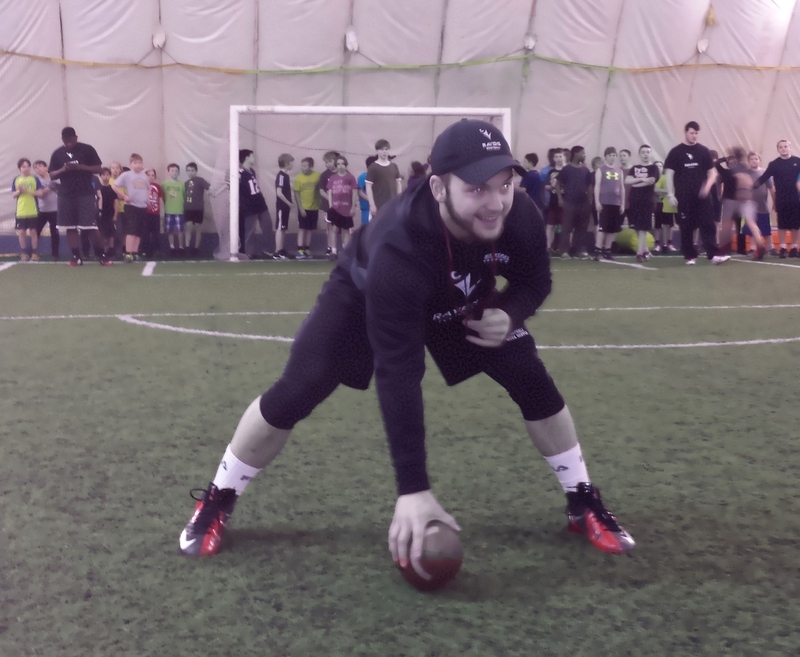 Tevin Bowen (6’1″ DL from Orangeville), Zach Annen (6’4″ DT from St. Thomas), Leon Cenerini (5’11” LB from La Salle, Massachusetts), Carlo Gallotta (6’2″ LB from Calgary) and Ryan Kublek (5’6″ Long Snapper from Halifax) brought their talent, youth, experience and motivation to our Winter Workout Wednesday night. This was an experience our young players and families will always remember. 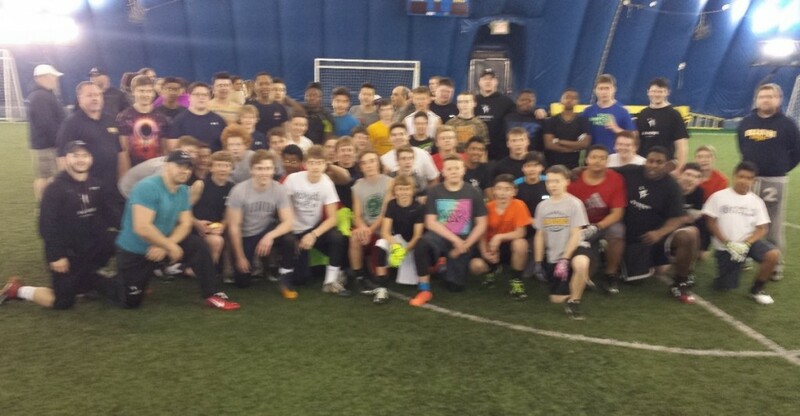 A HUGE THANK YOU to the Carleton Ravens for giving back to the local amateur football community! Ravens Long Snapper Ryan Kublek tries to draw our Warriors off-side. Nice try Ryan! 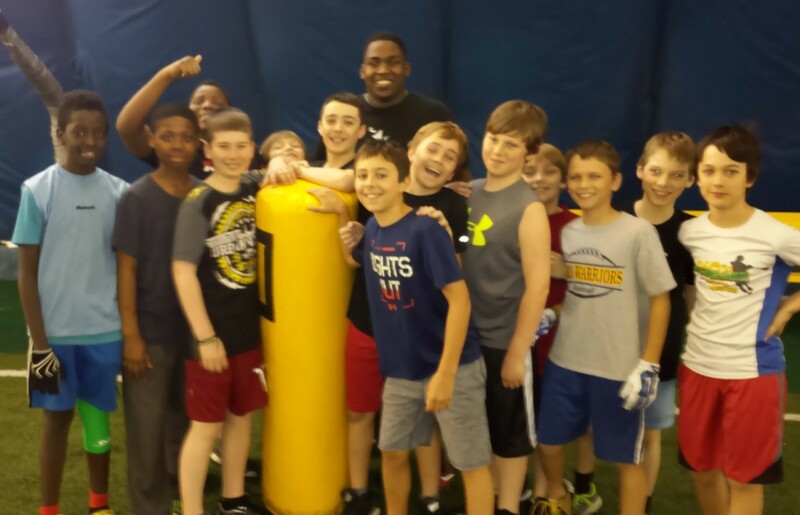 Ravens Guest Coach Tevin Bowen had our Warriors working hard. THANKS #RAVENS! For more pictures of this special event, go to our Facebook photo album. Become a FRIEND OF THE WARRIORS SPONSOR!